In Buckley v. Slocum Dickson Med. Grp., PLLC, 13-3535-CV L, __ Fed. Appx. ___, 2014 WL 4667531 (2d Cir. Sept. 22, 2014) (not for publication), the court affirmed the district court’s award of summary judgment and attorneys’ fees to the plaintiff in this matter involving a denial of severance benefits. The plaintiff worked in Slocum Dickson’s medical practice as the group’s only orthopedic physician specializing in spine surgery. The employment agreement required the plaintiff to provide 90 days’ notice before leaving the group. If he failed to give the required notice, the agreement called for him to pay liquidated damages of $10,000. On June 2, 2009, the plaintiff gave his 90 days’ notice that he would leave Slocum Dickson on August 30, 2009. 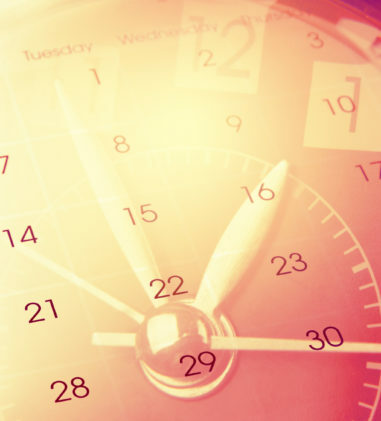 Before the 90 days elapsed, he realized that an earlier departure date would yield a greater severance package, because the plan calculated severance as a percentage of the accounts receivable associated with the plaintiff’s department at the time of his departure, and he had performed a disproportionate number of surgeries in July 2009. On August 4, the plaintiff informed Slocum Dickson that he was unilaterally terminating his employment, effective that very day and immediately paid the $10,000 liquidated damages for termination without notice. The plaintiff’s calculated severance amount under the plan on August 4 was $455,096, whereas it would have been only $47,912 had he waited until the end of August. Slocum Dickson’s Board of Managers decided to pay no severance to the plaintiff. The court determined that the plain terms of the plan required that the defendant pay the plaintiff the disputed amount and because summary judgment was appropriately awarded to the plaintiff, an award of attorneys’ fees was also warranted. In Preville v. Pepsico Hourly Employees Ret. Plan, 13 CIV. 5846 PGG, __F. Supp. 3d ___, 2014 WL 4682074 (S.D.N.Y. Sept. 22, 2014), the court determined that the defendant Retirement Plan did not abuse its discretion by denying the plaintiff’s claim for an Immediate Disability Pension benefit due to his late filing, where the Plan required him to apply for the benefit within six months following the onset of his permanent and total disability and he failed to do so. The Pension Plan explains that the onset of a participant’s Total and Permanent Disability occurs when he suffers an injury or illness while actively employed that ultimately results in either (1) his being entitled to receive long-term disability benefits under the LTD Plan or (2) being determined to be disabled under the Social Security Act. It was undisputed that the administrator of the LTD Plan determined that the plaintiff was entitled to receive benefits under the LTD Plan beginning January 13, 2009. However, he did not elect to receive an Immediate Disability Pension within six months of January 13, 2009, but filed the claim in October 2011. Additionally, the plan administrator adopted a rule that permits eligible employees to elect to receive an Immediate Disability Pension within thirty days of written notice. The plan administrator mailed notice to the plaintiff by letter dated June 17, 2009, informing him that he must contact the PBG Savings and Retirement Center at Fidelity within 30 days of the date of this letter, which he did not. Fund Lacks Standing to Bring Breach of Fiduciary Duty Claims Against Former Trustees. In Nat’l Health Plan Corp. v. Teamsters Local 469, 13-4084, 2014 WL 4589917 (3d Cir. Sept. 16, 2014), the Teamsters Local 469 Welfare Fund (the “469 Fund”) appealed the district court’s dismissal of its third-party complaint for lack of subject-matter jurisdiction under FRCP 12(b)(1). The third-party complaint included six breach-of-fiduciary-duty counts, including four counts under ERISA, against the trustees of the 418 Fund (to which the 469 Fund is the successor-in-interest). The only issue on appeal was whether the 469 Fund has standing to bring ERISA and common-law claims for breach of fiduciary duty pursuant to several subsections of 29 U.S.C. § 1132. Regarding § 1132(a)(1), the court determined that ERISA does not encompass the claims of the 469 Fund because under a cause-of-action analysis, the 469 Fund must plead that it is a participant or beneficiary. Regarding § 1132(a)(2) and (3), the 469 Fund must plead that it is a participant, beneficiary, or fiduciary. Although the 469 Fund contended that it is a fiduciary and is thus entitled to bring claims under those provisions, the court disagreed because nowhere in the third-party complaint or elsewhere in the record did the 469 Fund refer to itself as a fiduciary or assert that it exercises any discretionary authority or control respecting management of the plan, management or disposition of its assets, or has any discretionary authority or discretionary responsibility in the administration of the plan. Regarding § 1132(d), the court agreed with the 2nd Circuit that subsection (d)(1) only establishes the right of employee benefit plans created by ERISA to sue and be sued like corporations and other legal entities; it does not provide an independent right of action under ERISA. The structure of the provision suggests that § 1132(d) should not be read to create a cause of action. 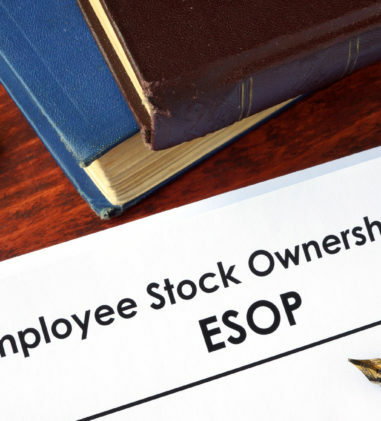 The statute already enumerates in § 1132(a) which persons may bring an ERISA action, and the 469 Fund’s proposed reading of § 1132(d) would render the restrictive subcategories of § 1132(a) superfluous. Accordingly, the court held that the 469 Fund cannot bring a breach-of-fiduciary-duty claim under § 1132(d) alone and affirmed the district court’s dismissal. State-Law Claims Against Beneficiary Who Allegedly Received Duplicate Life Insurance Payments Are Preempted by ERISA. In Metro. Life Ins. Co. v. DePalo, CIV.A. 13-3092 KM, 2014 WL 4681094 (D.N.J. Sept. 22, 2014), the court denied MetLife’s motion to amend its complaint to add two state-law causes of action, in addition to ERISA claims, against the defendant for unlawful retention and conversion of funds relating to optional coverage benefits it paid pursuant to an ERISA-covered life insurance policy. MetLife asserted that, after making this payment, it discovered that although it was responsible for the payment of basic coverage benefits, MetLife was not responsible for paying the decedent’s optional coverage benefits. Instead, that responsibility had shifted to Aetna. Aetna subsequently paid the defendant the same amount of optional coverage benefits. MetLife initiated this litigation to recover its duplicative payment. The court reasoned that for MetLife to recover under either theory, the court must determine that MetLife was not required to pay the decedent’s optional coverage benefits. No matter how MetLife frames its arguments, both of MetLife’s proposed state law claims are premised upon and require a finding that MetLife was not required, under the Plan’s terms, to make the optional coverage benefit payment. Because of this, the court determined that MetLife’s proposed state law claims are preempted by Section 514(a). The court recognized that without the state-law claims, might be left without the ability to bring additional non-ERISA claims but the potential outcome does not empower the Court to disregard Section 514(a)’s text, Congress’s intent, binding precedent interpreting Section 514(a), and other persuasive opinions, which all direct the Court to deny MetLife’s motion on the basis of preemption. Court Certifies Order for Interlocutory Appeal Involving Question of Church Plan Status. In Kaplan v. Saint Peter’s Healthcare Sys., CIV.A. 13-2941 MAS, 2014 WL 4678059 (D.N.J. Sept. 19, 2014), the court granted the defendants’ motion to certify its March 31, 2014 order for interlocutory appeal, where the defendants’ motion to dismiss pursuant to FRCP 12(b)(1) and (b)(6) for lack of subject matter jurisdiction and failure to state a claim ultimately presented an issue of first impression in this Circuit: whether a non-profit healthcare corporation, such as SPHS, may establish and maintain a church plan, as defined in 29 U.S.C. § 1002(33), if it is controlled by or associated with a church. In its Memorandum Opinion, the court held that, as a matter of law, SPHS’s Retirement Plan is not a church plan exempt from ERISA, solidifying the court’s subject matter jurisdiction of the plaintiffs’ ERISA claims. The court concluded that the plain text of the statute requires-from the outset-a church plan to be established by a church and because it was established by SPHS, it could not be a church plan. The court agreed that this was an exception case warranting interlocutory appeal because 1) the question of whether a non-profit healthcare corporation can establish and maintain a church plan, as defined in ERISA, is a controlling question of law because if the court’s statutory interpretation was incorrect, it would require reversal upon final appeal and likely strip this court of subject matter jurisdiction of the plaintiffs’ ERISA claims; 2) there is substantial ground for difference of opinion whether a non-profit, tax-exempt organization can establish and maintain a church plan as defined in ERISA since there are conflicting interpretations from numerous courts; and 3) a definitive, appellate ruling would materially advance the termination of the litigation. Court Denies Insurer’s Motion to Transfer Venue Where Appeal Denial Letter Was Mailed from Plaintiff’s Selected Forum. In Thomas v. Prudential Ins. Co. of Am., CIV.A. 14-2774, 2014 WL 4637467 (E.D. Pa. Sept. 17, 2014), the court denied Prudential’s motion to transfer venue from the Eastern District of Pennsylvania to either the District of New Jersey or to the Eastern District of Virginia pursuant to 28 U.S.C. § 1404(a). The court found that there is no doubt that Prudential may be found in this district. The plaintiff is a resident of Chesapeake, Virginia and worked in that state for FDGM, Inc., the Plan sponsor and administrator. Prudential is incorporated in New Jersey and headquartered in the city of Newark in that state. Prudential conceded it has a post office box in Philadelphia in this district. The letter from a Prudential Appeals Specialist, which denied the plaintiff’s long-term disability benefits, was sent from Philadelphia. Since the plaintiff has chosen the Eastern District of Pennsylvania to litigate this matter and at least one operative fact occurred in this forum, the court found that the other factors do not support a transfer of venue. This action will be decided on the administrative record with very little discovery, including one witness who will likely be deposed by telephone. Thus, the convenience of witnesses and the location of records is of little, if any, relevance. The court also noted that having an action of this kind filed in the Eastern District of Pennsylvania was clearly foreseen by Prudential since the letter denying benefits was sent from Philadelphia. 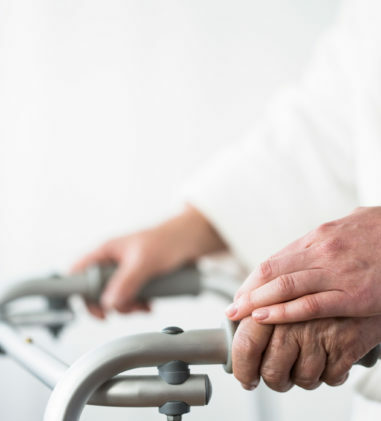 Pensioner Adequately Pleads Breach of Fiduciary Duty for Misrepresentation and Equitable Estoppel Claims in Connection with Benefit Calculation and Payment. InBussiculo v. Babcock Power, Inc., CIV.A. 13-7192 JLL, 2014 WL 4611544 (D.N.J. Sept. 15, 2014), the district court affirmed the magistrate judge’s report and recommendation granting the plaintiff’s motion to amend the complaint and denying the defendant’s motion to dismiss the plaintiff’s original complaint as moot. The plaintiff alleged that after taking an early retirement at age 55 in May 2009, the defendant paid plaintiff unreduced early retirement benefits for three years before advising him that he failed to qualify for those benefits, would receive reduced benefits going forward, and would have to repay the difference of about $56,740.32. The court found that the Amended Complaint states a claim for relief under Section 502(a)(3) of ERISA for breach of fiduciary duty for misrepresentations. The Amended Complaint alleges that plan administrators delegated to their human resources departments the function of answering pension plan questions from plan participants, and to making material representations to plan participants about the plan terms and benefits, those human resources departments had actual authority to act on behalf of the plan administrators, and had a fiduciary duty to provide plan participants with complete and accurate information so that plan participants could make adequately informed decisions about their pension plan benefits. 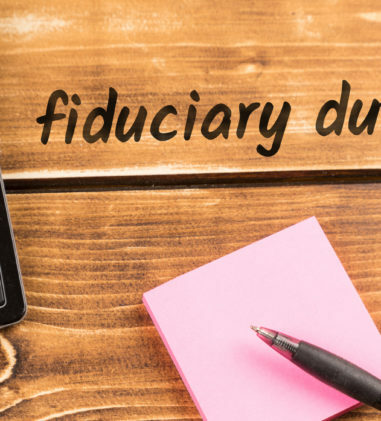 Although the defendant argued that the plaintiff’s Complaint does not support a finding that human resources personnel were fiduciaries, the court noted that ERISA defines “fiduciary” not in terms of formal trusteeship, but in functional terms of control and authority over the plan. Fiduciary duties attach not just to particular persons, but to particular persons performing particular functions. The court declined to resolve the question of whether or not the human resources personnel named in the Complaint qualify as fiduciaries where the pleadings clearly articulate that various Babcock personnel were fiduciaries in a functional capacity. The plaintiff alleged that from 2002 through 2009, persons in five human resources departments repeatedly, and knowingly or negligently, made numerous affirmative verbal and written misrepresentations to the plaintiff that he could “grow into” the Rule of 85 by simply turning 55 without having to be employed by a Babcock related company. Additionally, he further alleged these persons failed to give him complete and accurate information which prevented him from making an adequately informed decision as to whether to seek retirement benefits upon turning 55 instead of waiting until the normal retirement age of 65. Taken as true, the court found that the plaintiff factually pleads a material misrepresentation by the defendant and he relied to his detriment on those misrepresentations by choosing to take retirement benefits at age 55 instead of waiting until age 65 to apply for benefits. The court also found that the plaintiff sufficiently stated a claim for equitable estoppel. The repeated affirmative misrepresentations, combined with the plaintiff’s many inquiries about his benefits, demonstrate that the plaintiff has plead extraordinary circumstances supporting this claim. Terms of Extra-Plan Documents Can Be Enforced if Incorporated by the Plan by Reference. In L.B. ex rel. Brock v. United Behavioral Health Wells Fargo & Co. Health Plan, 3:13-CV-00176-MOC, 2014 WL 4636850 (W.D.N.C. Sept. 16, 2014), the court found in favor of the plaintiff, who brought suit against the defendant for denying the plaintiff’s claim for benefits at an out-of-state, acute in-patient psychiatric care facility. Before deciding the merits of the plaintiff’s claim, the court rejected the plaintiff’s argument that documents outside of the Plan, even summary plan descriptions (“SPDs”), do not provide terms which this court can enforce even if those extra-Plan documents are incorporated by the Plan by reference. The court determined that Amara in no way prohibits a Plan from specifically incorporating SPDs or other extra-Plan documents. Amara stands for the proposition that ERISA requires courts to enforce the language of the plan, not the language of plan summaries. As to the merits of UBH’s denial of coverage, the court found that its decision was unreasonable because UBH failed to follow its own Level of Care Guidelines and grant coverage under one of the specified criteria. UBH’s own guidelines mandate coverage where any one criteria is met, not denial where any one criteria is not met. Claim for Injunctive Relief Restraining the Implementation of a Plan Amendment Is Cognizable under ERISA Section 502(a)(3). In Schleben v. Carpenters Pension Trust Fund-Detroit & Vicinity, 14-CV-11564-LJM, 2014 WL 4604000 (E.D. Mich. Sept. 15, 2014), the court denied the defendants’ motion to dismiss the plaintiff’s ERISA § 502(a)(3)(A) claim to enjoin defendants from giving effect to an amendment that violates the following multiemployer pension plan provision: “[u]nless required by law, no amendment of this Plan shall be permitted to reduce the Accrued Benefit of any Participant or the benefits of any person who is already receiving benefits on the date the benefit amendment is effective” where the Plan’s Trustees amended the Plan to address its underfunded status in a manner that significantly reduced the plaintiff’s monthly disability payments. Regarding the standard of review, the court determined that plaintiff’s claim requires the court to undergo a two-step process. 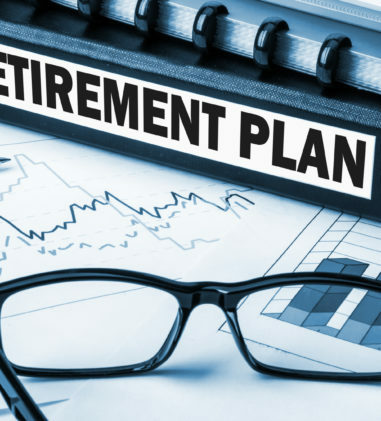 The first step – restrain the Plan from implementing the portion of the amendment that violates the Plan and ERISA – does not involve the Trustees’ discretionary authority to make decisions concerning eligibility for participation and benefits. Thus, de novo review would apply to the court’s determination of whether the amendment violates the Plan. The second step – awarding benefits in accordance with the Plan as it existed before the amendment – does involve a determination concerning eligibility for participation and benefits and the court determined that it will accord deference to the Trustees’ previous decisions regarding the plaintiff’s eligibility for benefits under the Plan as it existed before the amendment. The court rejected the defendants’ argument that the plaintiff’s claim had to be brought under ERISA § 502(a)(1)(B), rather than § 502(a)(3), since ERISA § 502(a)(3) authorizes an injunction to restrain any act or practice that violates the terms of a plan. 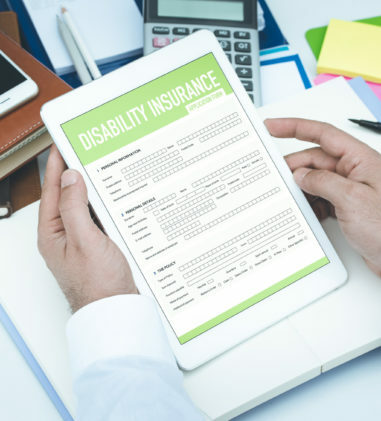 The court determined that the plaintiff plausibly states a claim that defendants violated the Plan when they enacted an amendment that reduced his disability benefits. Court Certifies Class of Fund Participants Whose Disability Retirement Benefits Were Reduced by Plan Amendment. Based on the same facts of the above case, inUnderwood v. Carpenters Pension Trust Fund-Detroit & Vicinity, 13-CV-14464, 2014 WL 4602974 (E.D. Mich. Sept. 15, 2014), the court certified a class of all persons who commenced their disability retirement benefits on or after 9/1/2008 and who were receiving the disability retirement benefits on 8/1/2013 from the Carpenters Pension Trust Fund-Detroit and Vicinity. In August 2013, the Plan’s Trustees amended the Plan to address its underfunded status. The amendment significantly reduced the plaintiff’s monthly disability payments and the plaintiff filed this action to challenge the amendment, arguing that ERISA and the terms of the Plan prohibit amendments that reduce disability benefits in pay status. The defendants challenged only numerosity and adequacy. With respect to numerosity, the plaintiff’s counsel submitted an affidavit stating that there are at least fifty-eight people whose disability benefits were reduced by the amendment (and who have contacted a lawyer regarding possible representation) and are reasonably likely to face the harm for which the plaintiff seeks redress. The court found this sufficient even if it may be that not all of the fifty-eight have standing to pursue a claim. The court rejected defendants’ argument that because every person in the proposed class is a participant in the Defendant Fund, the class is ascertainable and therefore joinder is not impracticable. Class certification is not rendered inappropriate solely because all members of a proposed class are identifiable. With respect to adequacy, the defendants argued that Underwood is not an adequate representative because some disability recipients may return to work and have their benefit suspended, and some participants on disability who will soon convert to normal retirement pension benefits certainly do not have the same interest as the participant who may be on disability for several years because a rollback of disability benefits to pre-amendment levels hurts the Plan’s funding status and puts participants’ non-disability pension benefits at peril. The court found that this hypothetical class conflict is not an obstacle to certifying the class. To the extent there are members of the proposed class who prefer that the caps on disability benefits and the Social Security eligibility requirement remain in place to protect the funding of the Plan, the defendants will adequately represent their interests. And because Underwood seeks to certify the class under Rule 23(b)(3), all members of the proposed class would be given notice and an opportunity to opt out. The defendants also argued that there are five different classes of caps on disability benefits, dependent on the number of the participant’s credit years and, at best, Underwood could possibly represent the members of the participants in his category of credit years, but not the other four tiers. The court found that no class conflict is created by the different classes of caps as these differences only affect the amount of damages which do not prevent certification in this case. 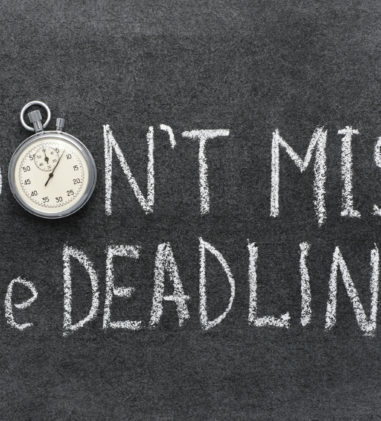 Lastly, the defendants argued that the requirement to qualify for Social Security disability benefits may affect proposed class members differently and it cannot be determined at this time which participants will have benefits discontinued when this rule takes effect. Any participant whose benefits are not affected by this change would have little interest in seeing this matter prosecuted at the expense of the Pension Fund. The court found that this did not present a conflict because the issue is the legality of the amendment. The fact that the amendment had two kinds of effects-the caps and the eligibility requirement-is relevant to damages, not liability. The court found that differences in damages are not an obstacle to certification in this case. Despite Long History of Procedural Deficiencies, Court Remands Disability Claim to Standard for Further Consideration. In McCandless v. Standard Ins. Co., 2:08-CV-14195, 2014 WL 4681480 (E.D. Mich. Sept. 19, 2014), the court denied the parties’ cross motions for judgment and remanded the plaintiff’s long-term disability claim to Standard for further consideration. This follows a long procedural history where the parties previously filed cross motions for judgment on the administrative record. On February 15, 2011, this court granted Standard’s motion and denied the plaintiff’s motion. On appeal, the 6th Circuit reversed and remanded for the completion of an independent medical evaluation (“IME”) and for further consideration of the plaintiff’s claim. After evaluation of the IME, Standard denied the claim for a second time. Because the plaintiff was denied the opportunity at this stage to offer evidence in rebuttal of the IME, this court granted her motion to supplement the administrative record and remanded again to the plan administrator. After review, Standard denied the plaintiff’s claim for a third time. The court remanded the case back to Standard again to consider reports submitted by the plaintiff, to address the plaintiff’s Social Security Disability Insurance award, and to have a different person conduct the benefits review (the same benefits specialist reviewed and prepared the previous two denials). The court did not find that the plaintiff is clearly entitled to benefits and because the deficiency is the decision-making process, the appropriate remedy is remand to the plan administrator. Enforcement of Equitable Lien by Agreement Does Not Require Identification of a Specific Fund Under the Possession and Control of the Beneficiary. In Holzmeyer v. Walgreen Income Prot. Plan for Pharmacists & Registered Nurses, 1:12-CV-01737-SEB, 2014 WL 4636384 (S.D. Ind. Sept. 16, 2014), the Plan brought a counterclaim against the plaintiff (long-term disability claimant) under 29 U.S.C. § 1132(a)(3) for reimbursement of an overpayment of LTD benefits due to the receipt of SSDI benefits. The plaintiff argued thatSereboff v. Mid Atlantic Medical Services, Inc., 547 U.S. 356 (2006) required that to enforce an equitable lien by agreement, the funds sought by the trustee have to be “specifically identifiable” and “within the possession and control” of the beneficiaries. The plaintiff also relied on the 9th Circuit decision in Bilyeu v. Morgan Stanley Long Term Disability Plan, 683 F.3d 1083 (9th Cir. 2012) which read Sereboff as establishing a three-part test, requiring not only the existence of a promise to reimburse, but the agreement’s identification of a specific fund apart from the beneficiary’s general assets which is under the “possession and control” of the beneficiary. The court disagreed with the plaintiff and found that 7th Circuit case law, rather than the reasoning of the 9th Circuit, is controlling here. Specifically, in Gutta v. Standard Select Trust Insurance Plans, 530 F.3d 614 (7th Cir. 2008), the 7th Circuit held that a counterclaim under 29 U.S.C. § 1132(a)(3) for reimbursement of overpayment was cognizable under Sereboff as the enforcement of an “equitable lien by agreement” where the beneficiary had agreed under the plan to reimburse the employer for any amount received because of disability under any group insurance coverage. Although the defendant sought reimbursement for SSDI overpayments rather than proceeds from a separate group insurance policy, the court found this difference immaterial and concluded that the fact that the trustee identified Social Security benefits as the source of the overpayment suffices. The court granted summary judgment in favor of the Plan on its counterclaim. Court Reforms LTD Policy to Conform to State Insurance Law but Upholds LINA’s Denial of Life Insurance Benefits. In Haung v. Life Ins. Co. of N. Am., 4:13CV00299 AGF, 2014 WL 4639156 (E.D. Mo. Sept. 16, 2014), the plaintiff brought suit against LINA for denying her claim for supplemental life insurance benefits on the ground that her husband (the decedent) did not failed to report a change in his health status. The plaintiff alleged that the “Incontestability Clause” of the Policy violates Mo.Rev.Stat. § 376.697(3) and seeks to reform the terms of the Incontestability Clause to conform to the Missouri statute (Count I). Under the reformed Policy, the plaintiff asserted that she is due benefits under the Policy (Count II). 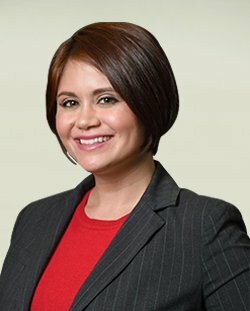 The plaintiff also asserted claims for equitable estoppel (Count III), promissory estoppel (Count IV), and waiver (Count VI), based on LINA’s alleged misrepresentations that the decedent would qualify for supplemental benefits without having to satisfy an insurability or good health requirement. Finally, the plaintiff contended that LINA breached its fiduciary duties under ERISA, as well as its common law duty of loyalty (Count V). With respect to Count I, the court determined that Missouri’s law was saved from preemption because it regulates insurance. The court further determined that ERISA does not bar the plaintiff’s equitable reformation claim as “appropriate relief” under 29 U.S.C. § 1132(a)(3) simply because the plaintiff also raises a claim to recover benefits under § 1132(a)(1)(B). The plaintiff’s claim for reformation constitutes different relief that is unavailable in a § 1132(a)(1)(B) claim for benefits. The court noted that the plaintiff did not need to rely on a reformation claim to enforce Mo.Rev.Stat. § 376.697(3) because state insurance regulations may be considered directly in a claim for benefits under 29 U.S.C. § 1132(a)(1)(B). Nevertheless, the court found that nothing in ERISA bars the court from reforming the terms of the Policy to conform to state insurance regulations and granted summary judgment to the plaintiff on Count I. However, with respect to Count II, the court determined that the LINA did not abuse its discretion by applying an unreasonable interpretation of the disputed provision, as reformed. It was undisputed that LINA allowed the plaintiff’s husband to review the Application before signing it, advised him to make a copy for his records by way of instruction in the Application, and provided a copy of the Application to the plaintiff during the claims process, in connection with the denial of her claim but before her appeal. The court found that these actions are not contrary to the clear language of the Policy, as reformed, which requires only that the statement shall not be used in a contest unless a copy of the instrument containing the statement is or has been furnished to the insured or, in the event of death or incapacity of the insured person, to his beneficiary. The court granted summary judgment to LINA on Count II. 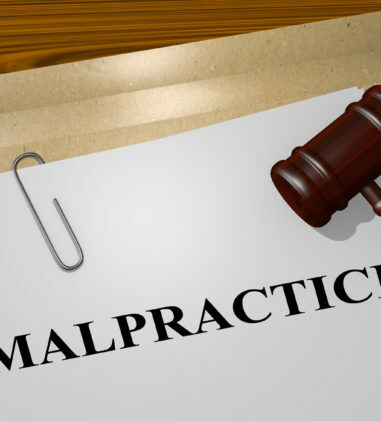 With respect to the estoppel and waiver claims, the court found that because the injury asserted in the plaintiff’s estoppel and waiver claims is adequately addressed in her § 1132(a)(1)(B) claim, the plaintiff does not have a cause of action to seek the same remedy under § 1132(a)(3)(B). Thus, the court granted summary judgment in favor of the defendant on Counts III, IV, and VI. With respect to the breach of fiduciary duty claim, the Court found that the plaintiff’s claim for an equitable surcharge is not barred because § 1132(a)(1)(B) does not provide “adequate relief” for the plaintiff’s injury. The injury alleged and the relief sought in the plaintiff’s breach of fiduciary duty claims are different than the injury alleged and relief sought in her claim for benefits and for estoppel and waiver. Those claims are all based on the defendant’s alleged wrongful denial of benefits. The breach of fiduciary duty claims relate to the alleged misrepresentation regarding the husband’s automatic qualification for benefits and allegedly caused the plaintiff a different injury: the loss of coverage under a different insurance policy. Although the court found that the plaintiff is not barred from bringing the breach of fiduciary duty claims, viewing the facts in a light most favorable to the plaintiff, the court concluded that they do not support the plaintiff’s claim for breach of fiduciary duty based on misrepresentation. Court Awards 5% Prejudgment Interest to Prevailing Plaintiffs In Denial of Medical Benefits Matter. In James v. Grp. Life & Health Benefits Plan for Employees of Participating AMR Corp. Subsidiaries, 3:11-CV-00051-ST, 2014 WL 4684885 (D. Or. Sept. 19, 2014), the court had previously decided the parties’ cross motions for summary judgment and reversed the Plan’s decision to deny medical benefits to plaintiffs. The plaintiffs moved for an award of prejudgment interest pursuant to 29 USC § 1132(g)(1) seeking an interest rate of 9% based on the interest and fees they have paid to satisfy the debt created by defendant’s withholding of benefits for six years. The court determined that it is bound to follow Ninth Circuit precedent which pegs the allowable prejudgment interest rate to the “investment income the plaintiffs would have been able to have earned had they received funds” when they were originally due. In this court’s view, given the historically low federal funds rate, the prime rate is a reasonably accurate estimate of the investment value of unpaid benefits. 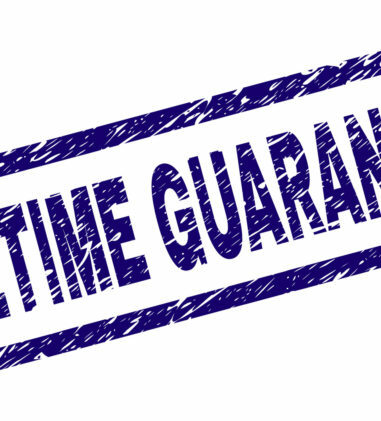 The applicable interest rate is the one in effect immediately prior to the date of the wrongful conduct. In this case, that wrongful conduct occurred initially on June 23, 2008, when the Plan first notified plaintiffs that it would not cover their son’s medical bills. The prime rate was changed to 5.00% on April 30, 2008 and to 4.50% on October 8, 2008. 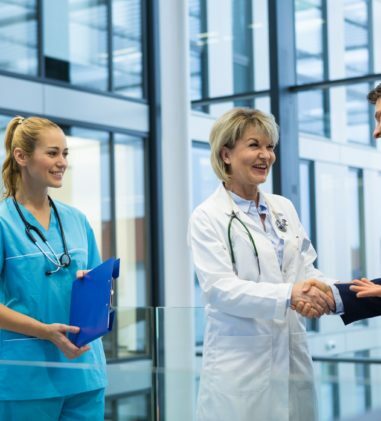 Therefore, during the time period from June through September, 2008, when plaintiffs incurred medical bills that the Plan refused to pay, the prime rate was 5.00%. Accordingly, the court declined to impose the historically low rate under 28 USC § 1961 or Oregon’s statutory rate of 9% and instead awarded an interest rate of 5% from June 23, 2008, on medical bills due prior to that date and from the due date for each medical bill thereafter (through September 30, 2008) until entry of judgment. Complaint’s Allegations Not Based on Benefit-Denying Motive Cannot Serve as Basis for Removal. In Sandhu v. Hewlett-Packard Co., 2:14-CV-1525 KJM EFB, 2014 WL 4661174 (E.D. Cal. Sept. 18, 2014), the court granted the plaintiff’s motion to remand the case back to state court, where the defendant had removed to federal court because the plaintiff’s complaint alleged claims concerning a denial of ERISA plan severance benefits. Specifically, the plaintiff alleged that he had been employed by defendant Hewlett-Packard Company (HP) for seventeen years but had been laid off, ostensibly as the result of restructuring but really because of his race, and that HP improperly refused to pay him promised severance benefits. The complaint contained five claims: breach of contract and breach of the implied covenant of good faith and fair dealing, stemming from HP’s refusal to pay severance benefits; misrepresentation; termination based on race, in violation of California’s Fair Employment and Housing Act (FEHA); and intentional infliction of emotional distress. The plaintiff sought to file an amended complaint after discovering that the severance benefit claim was governed by ERISA. The proposed amended complaint eliminated the breach of contract and misrepresentation claims, but retained the breach of the implied covenant of good faith and fair dealing, FEHA, and intentional infliction of emotional distress claims. The court determined that although the complaint is not clearly pleaded, it does not explicitly plead that HP terminated plaintiff in order to deny him severance benefits. Given plaintiff’s allegation that he was terminated from his new HP position because of race, the breach of contract claim can be read as not alleging a benefits-defeating motive, but rather a decision to pursue an improper termination based on race only after the plaintiff had waived any right to sue. Similarly, the breach of the covenant of fair dealing claim is not explicitly based on a benefits-denying motive. The court found that the defendant has not borne its burden of showing these two claims are completely preempted by ERISA and properly removed on the basis of federal question jurisdiction. The court denied the plaintiff’s motion to amend the complaint as moot and remanded the case. Venue Is Proper in District Where Plaintiff Earned Pension Credits. In Finley v. N. Ca. Carpenters Pension Trust Fund Trustees, 2:13-CV-1132-GEB-EFB, 2014 WL 4631689 (E.D. Cal. Sept. 15, 2014), the defendants moved to dismiss this action pursuant to FRCP 12(b)(3), arguing the Eastern District of California is an improper venue under ERISA’s venue statute. ERISA’s venue provision permits an action to be filed in the district where the plan is administered, where the breach took place, or where a defendant resides or may be found. 29 U.S.C. § 1332(e) (2). A defendant may be “found” in any district in which personal jurisdiction may be properly asserted. Where the defendant’s contacts with the forum are “substantial” or “continuous and systematic,” there is a sufficient connection between the defendant and the forum to support personal jurisdiction over claims that are unrelated to defendant’s contacts with the forum. However, where the defendant’s contacts with the forum are less pervasive, a court must evaluate the nature and quality of the defendant’s contacts with the forum in relation to the plaintiff’s claim. The defendants argued that this court is not a proper venue because the Pension Fund is administered in the Northern District of California; at the time of this action defendants were located in the Northern District; the Pension Fund resides in the Northern District; contributions are paid to the Pension Fund in the Northern District; and plaintiff earned his last pension credits performing work in the Northern District. The defendants also contended that the Pension Fund does not have sufficient minimum contacts with the Eastern District of California to make it a proper venue for this action because they have not undertaken any activity that promotes business in the Eastern District, the Pension Fund does not solicit or make sales in the Eastern District, nor does it maintain a bank account in the East District. Additionally, while employers might perform work in the Eastern District and thereby incur contribution obligations, all contributions are paid to the Pension Fund’s office in the Northern District. The court found that it is irrelevant that contributions are mailed or sent to the Northern District. The Pension fund receives contributions from unions and its members for work that is performed in the Eastern District. Accordingly, the first part of the personal jurisdiction inquiry is satisfied. As for the second part, the plaintiff asserts that he worked and earned pension credits in the Eastern District of California, specifically in Sacramento, between the years of 1997 and 1998. He challenges calculation of pension credits that include those earned in this district. Thus, plaintiff’s claim arises out of defendants’ forum-related activities. Since the defendants placed themselves in a fiduciary position which included collecting contributions from the forum, and sending benefits to the forum, the fund must have anticipated the same type of claim plaintiff now alleges. The court determined that exercising jurisdiction is reasonable and therefore defendants may be “found” in this district for purposes of 29 U.S.C. § 1132(e)(2) and denied defendants’ motion.